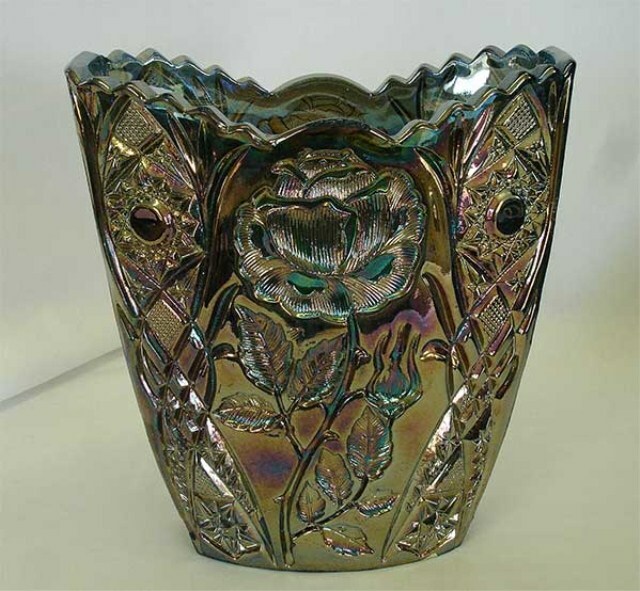 This intaglio pattern is unusually realistic for a European pattern–most tended to be geometric. 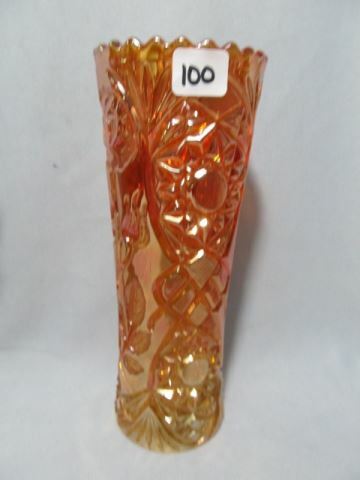 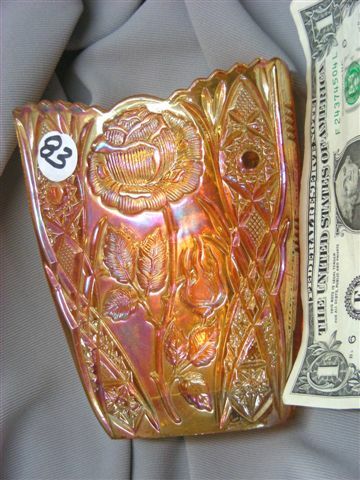 While the pattern was made in a number of shapes, few pieces are seen and usually command a premium price. 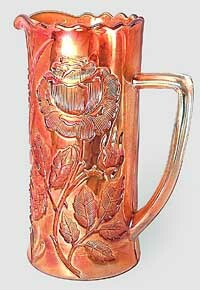 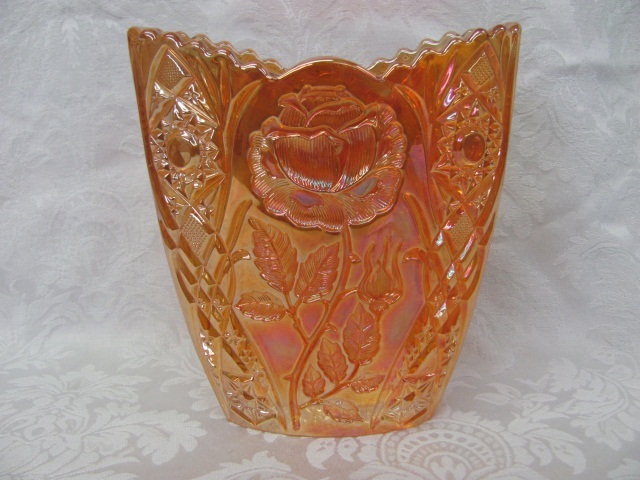 Brockwitz and Eda made this pattern which is also known as Rose Marie or Rosen in Germany and Rosor in Sweden. 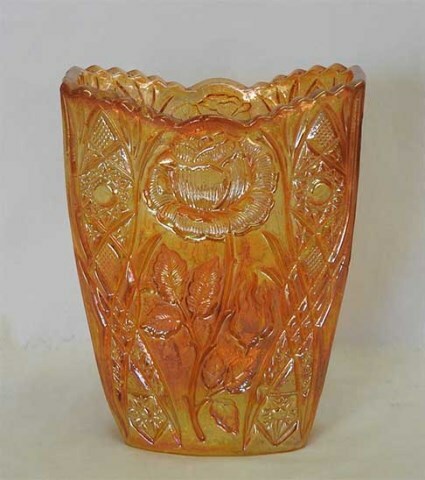 It is an intaglio design found in marigold and blue. 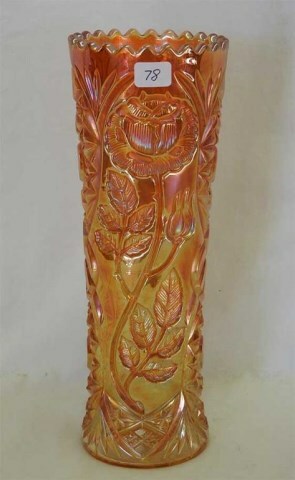 Shown is a 4 1/2-inch blue bowl, a marigold 7 3/4-inch cylinder vase, a marigold 5 inch letter (oval) vase, and a taller 11-inch cylinder vase. 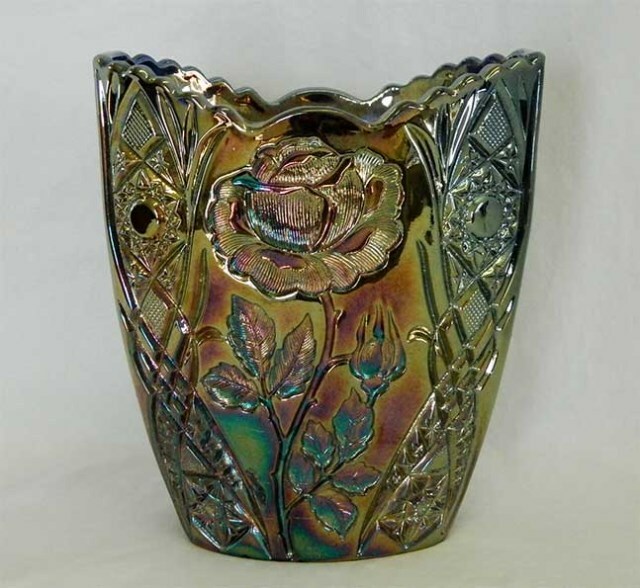 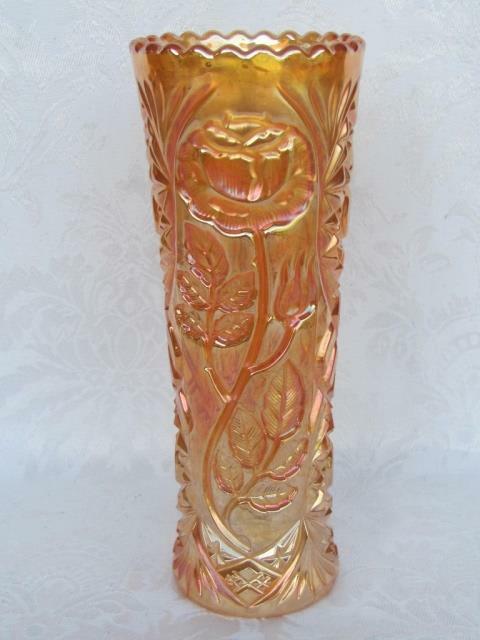 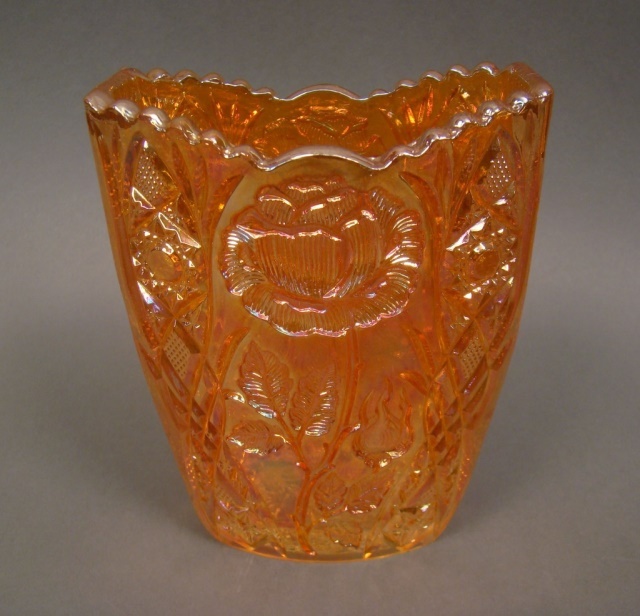 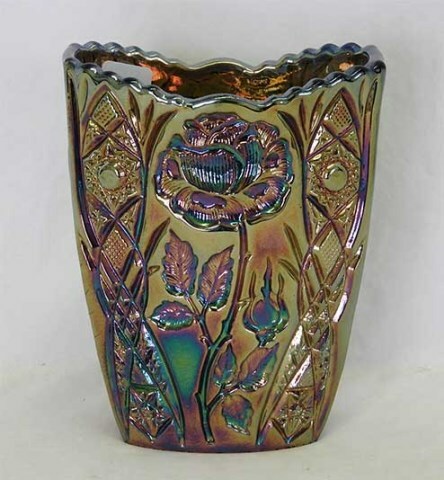 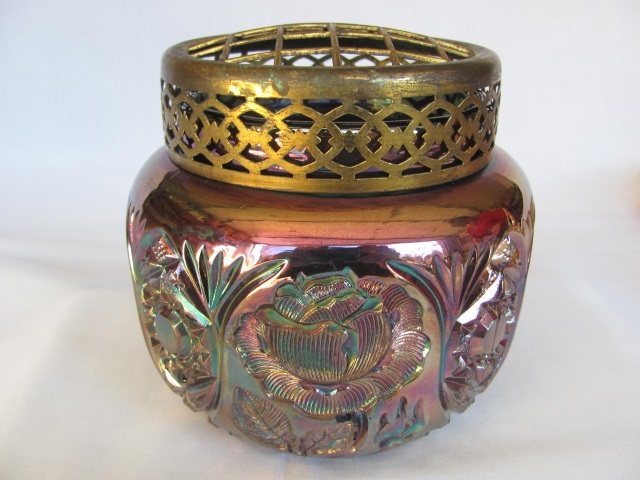 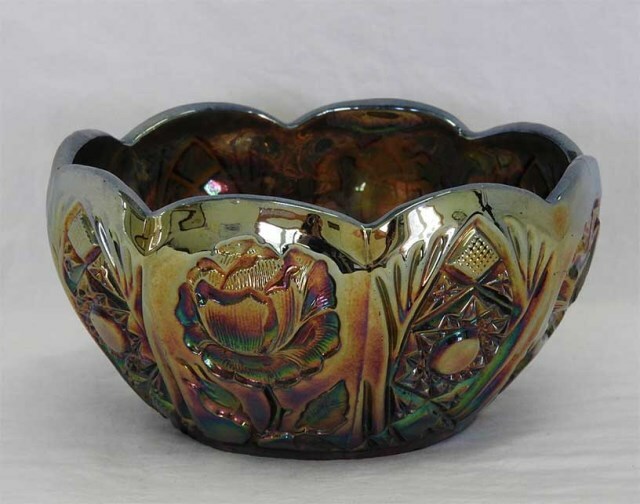 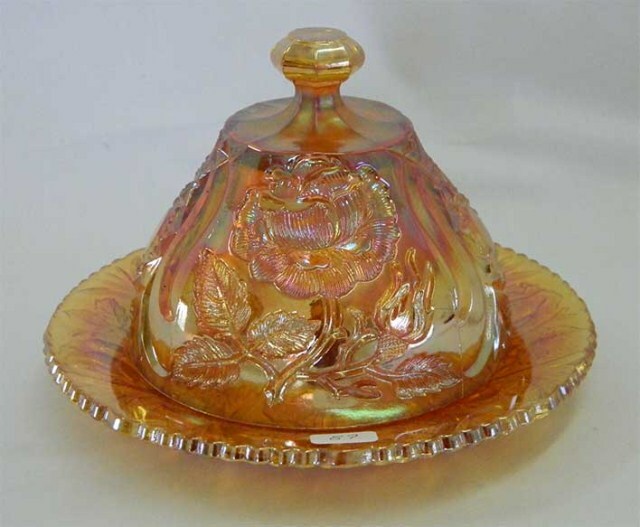 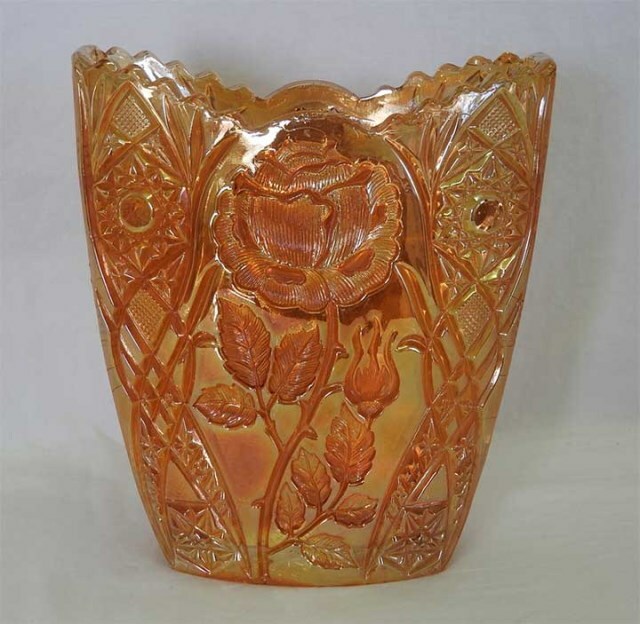 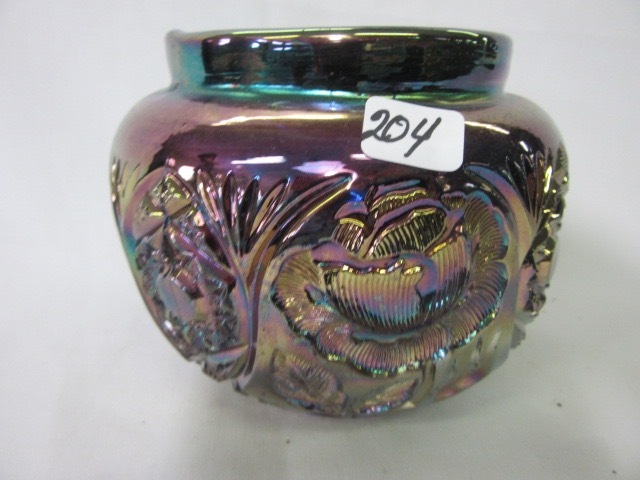 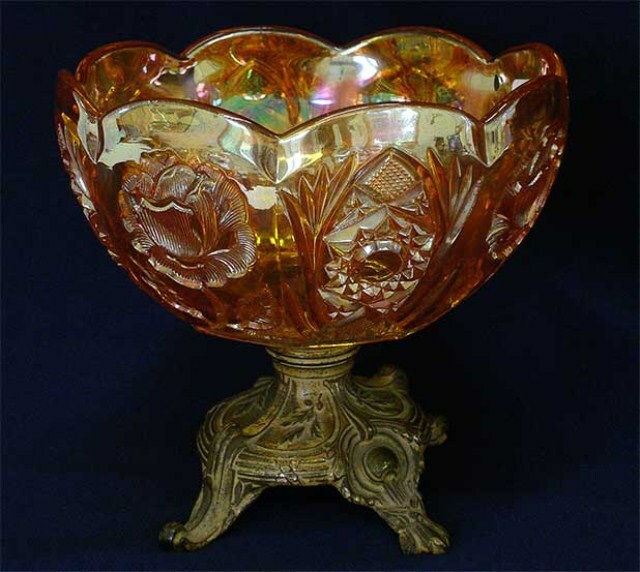 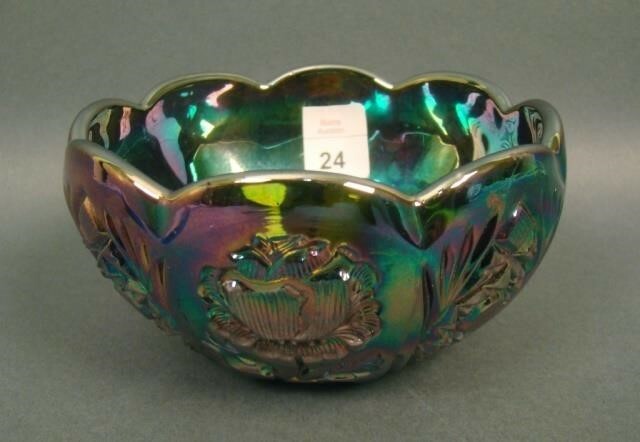 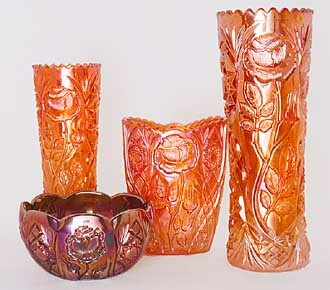 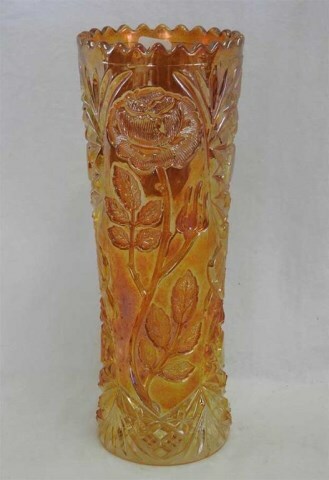 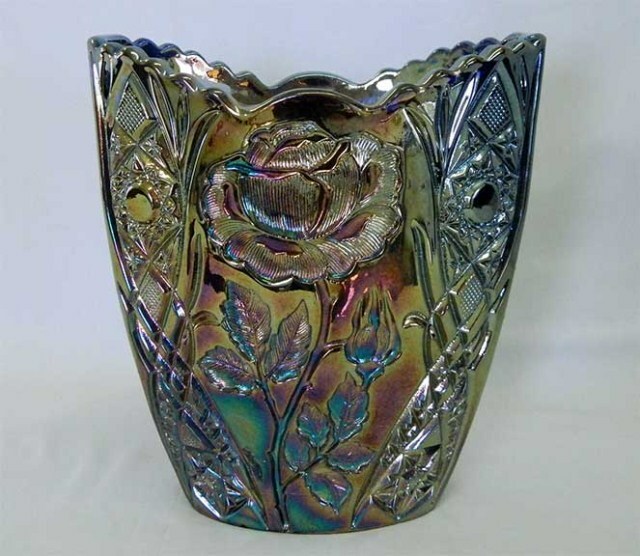 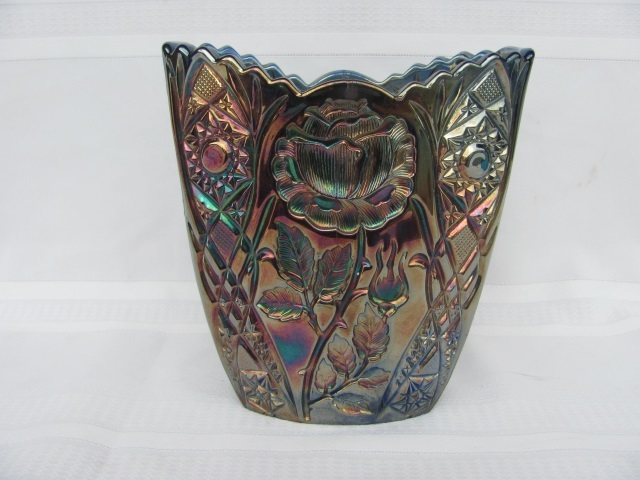 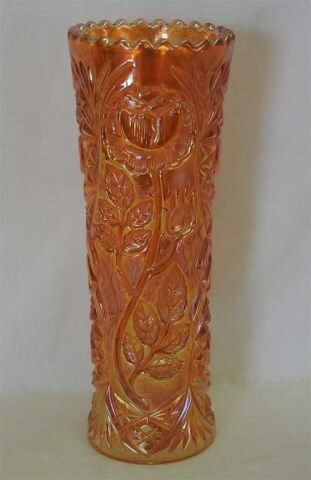 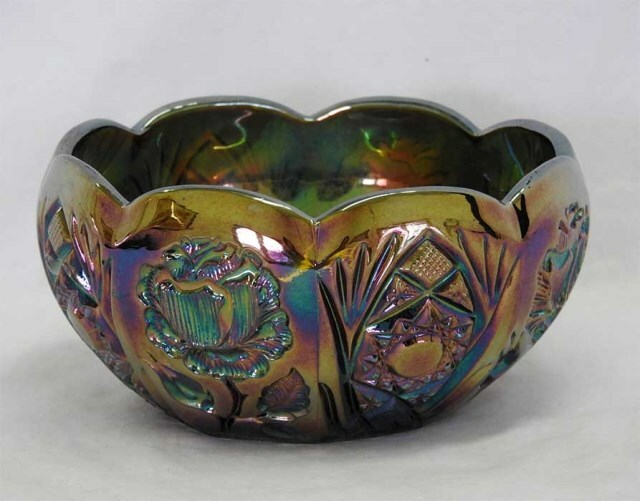 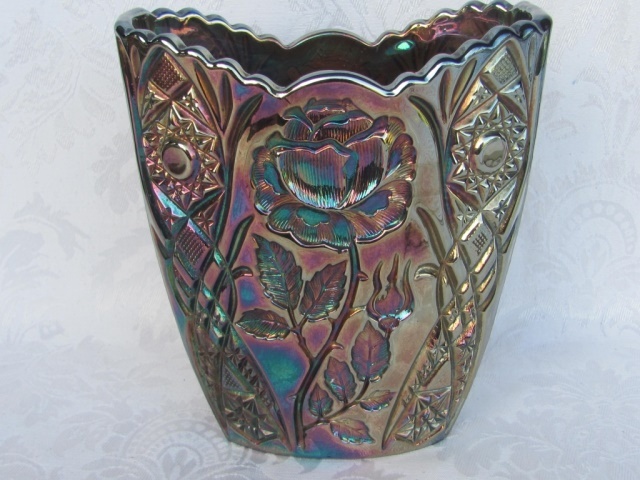 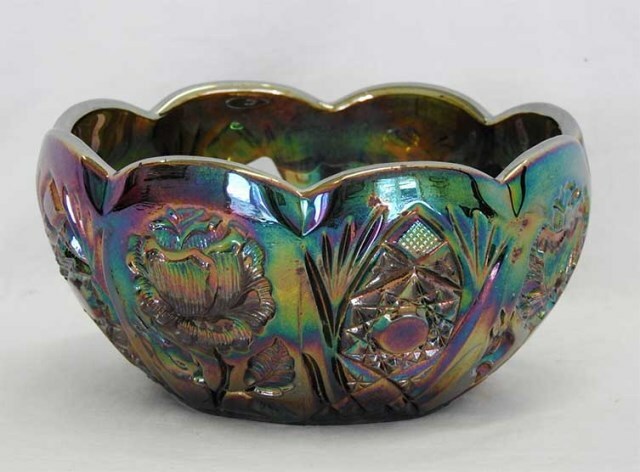 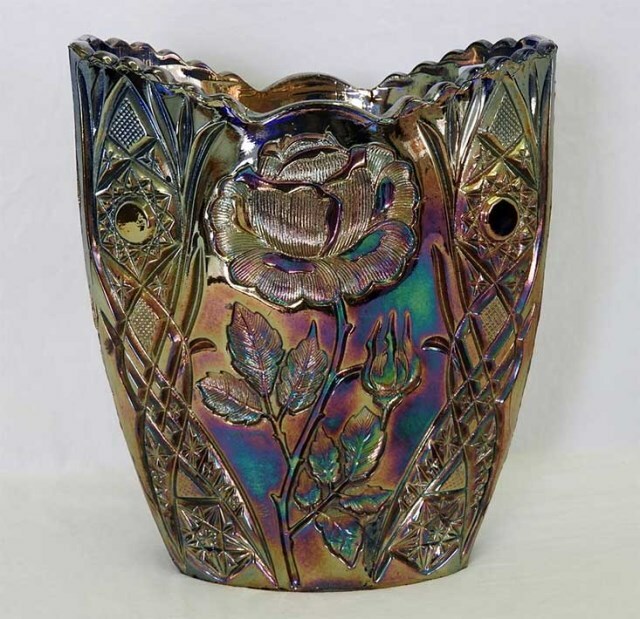 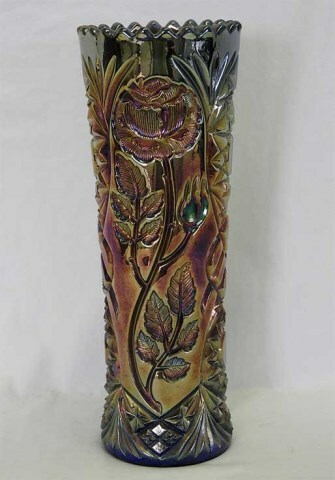 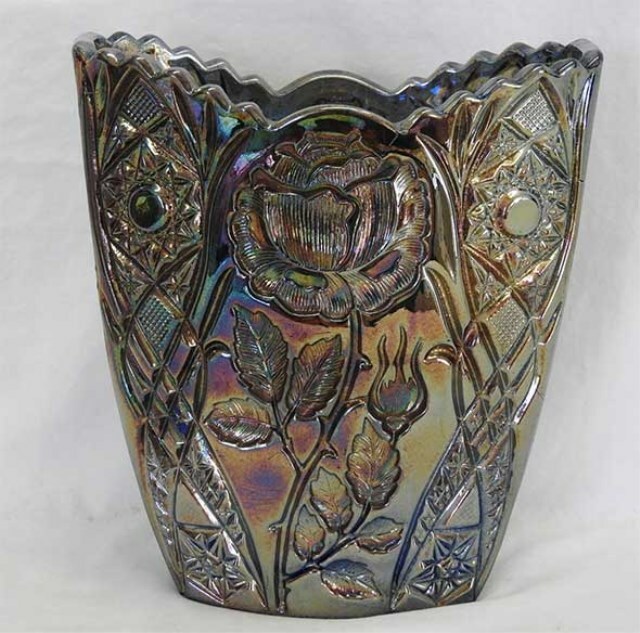 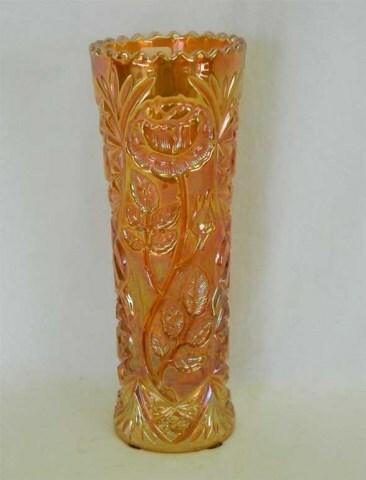 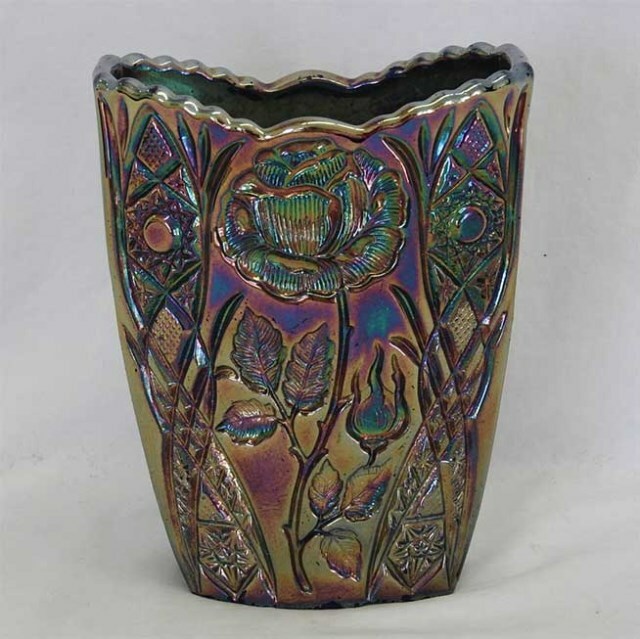 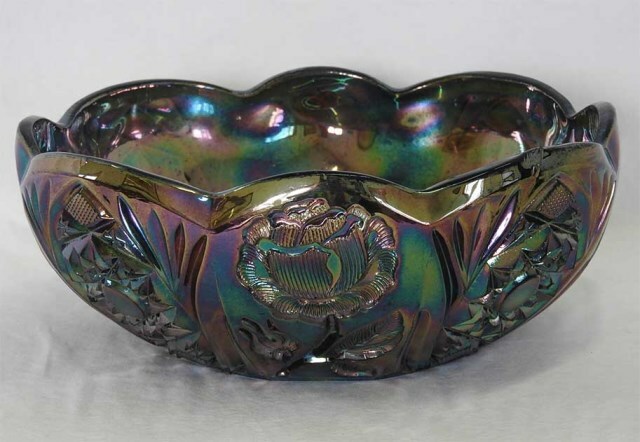 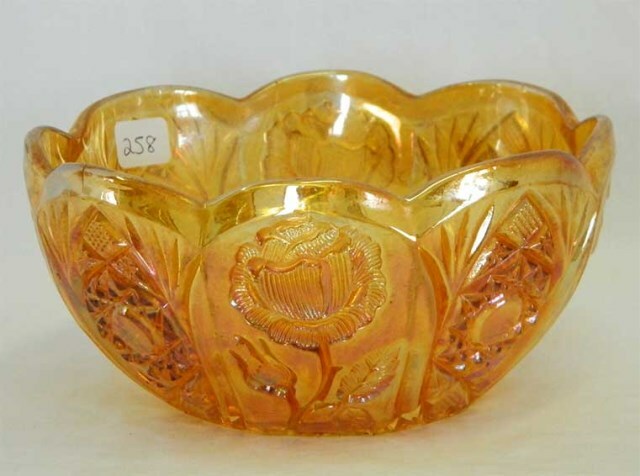 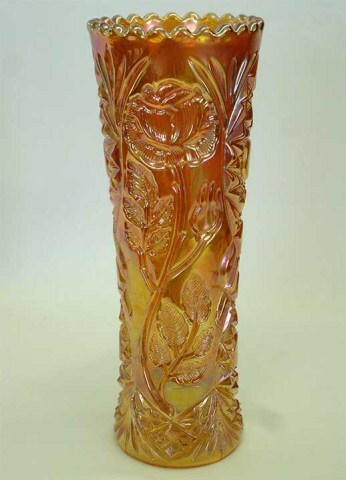 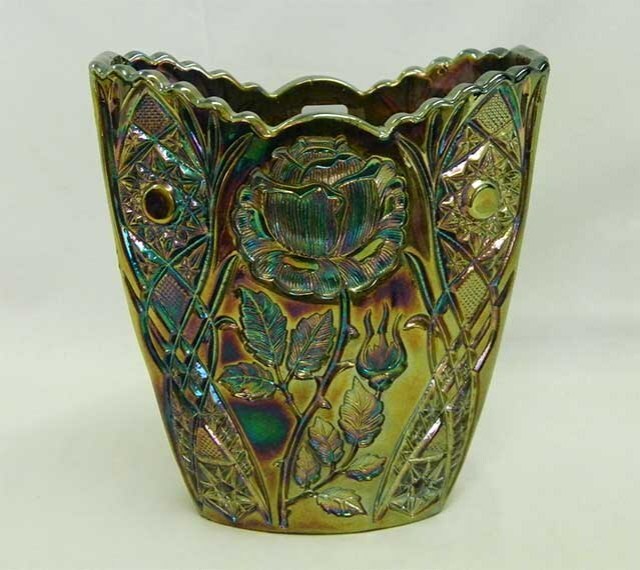 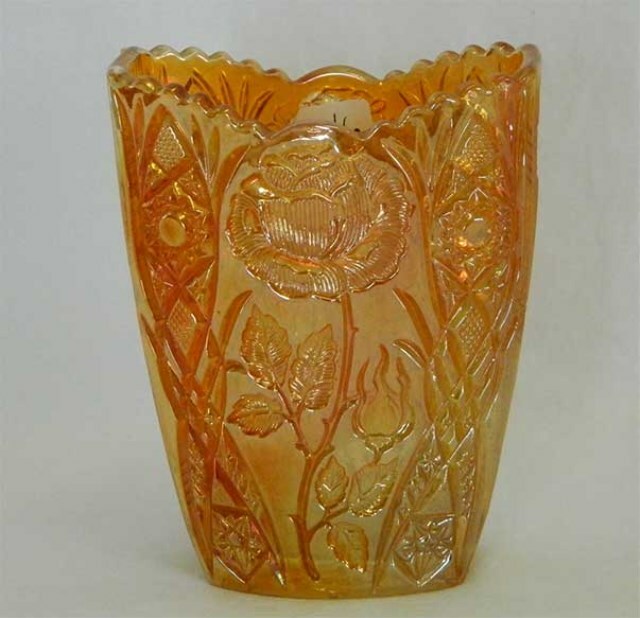 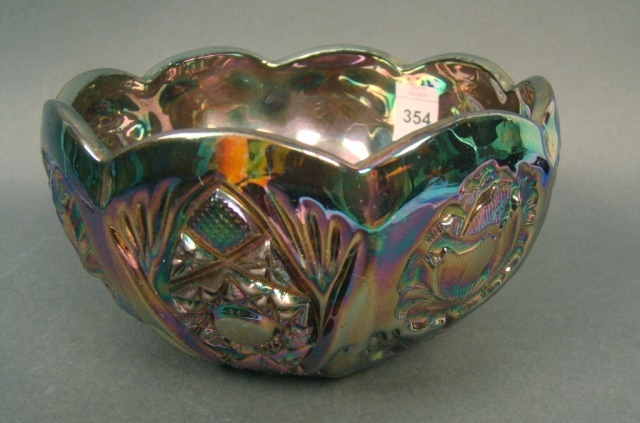 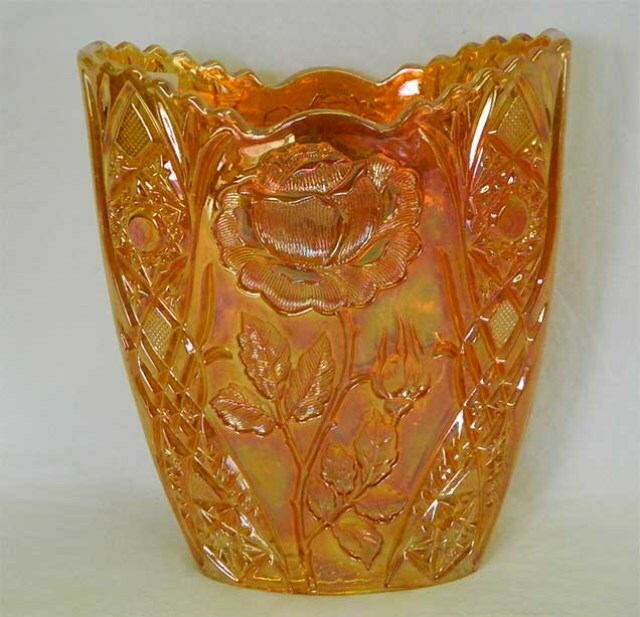 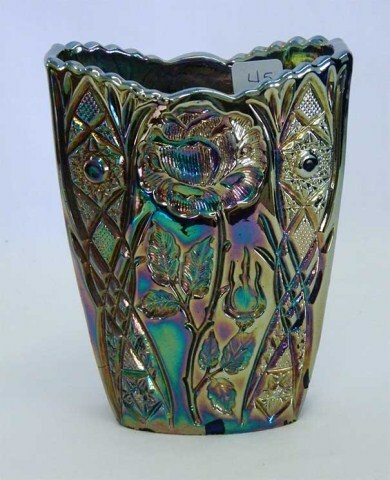 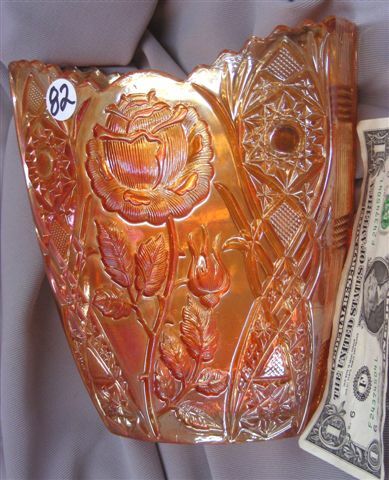 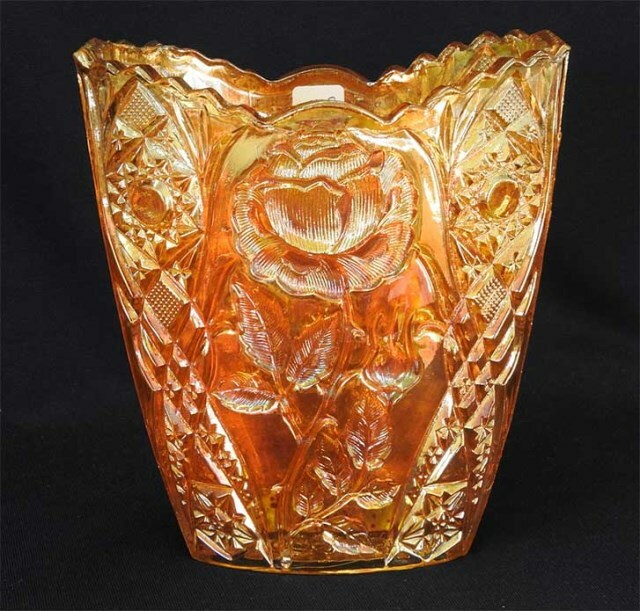 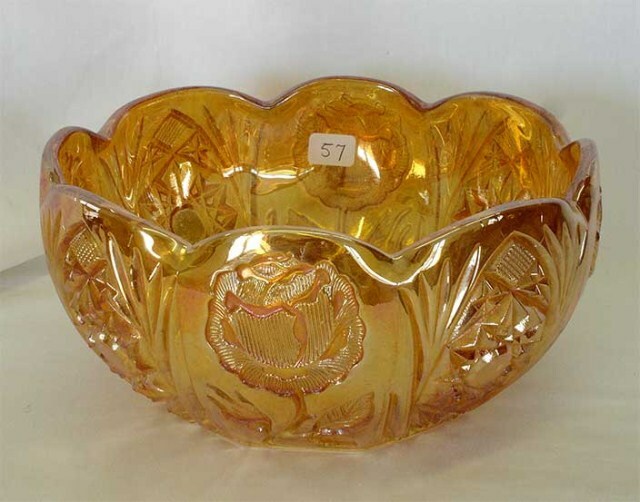 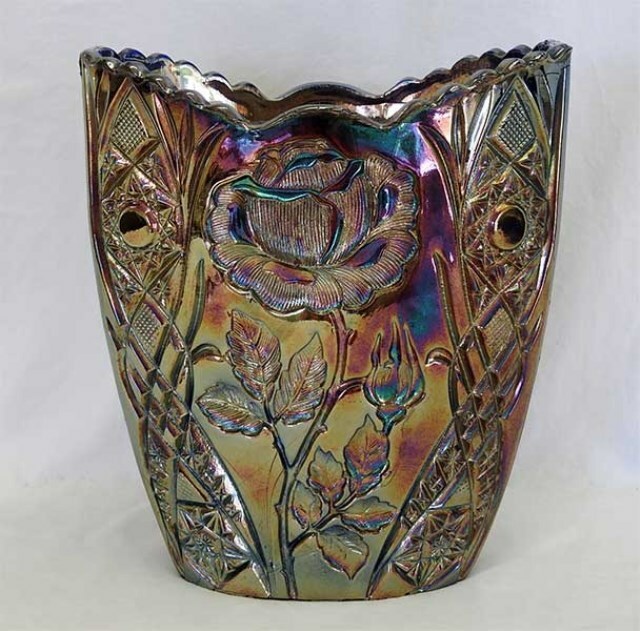 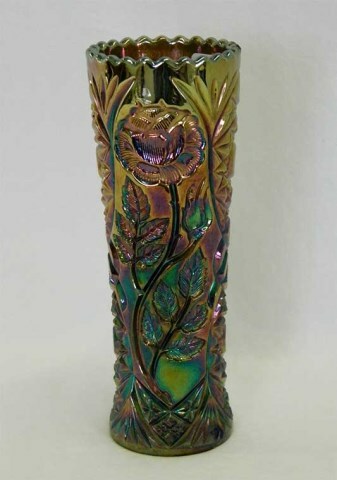 Both vase shapes, as well as the rosebowl, were made in three sizes. 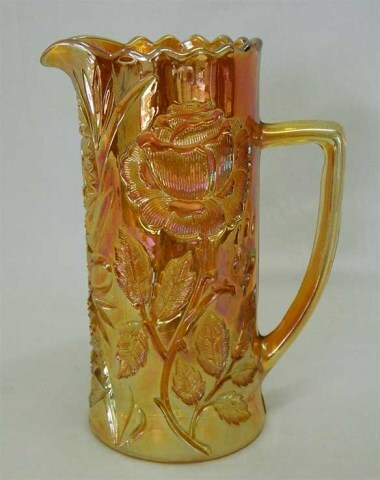 The pitcher was listed as a milk pitcher and sold at a 1994 auction for $550. 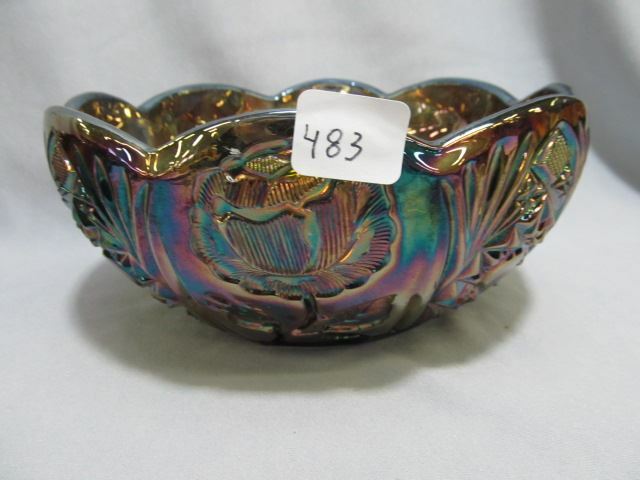 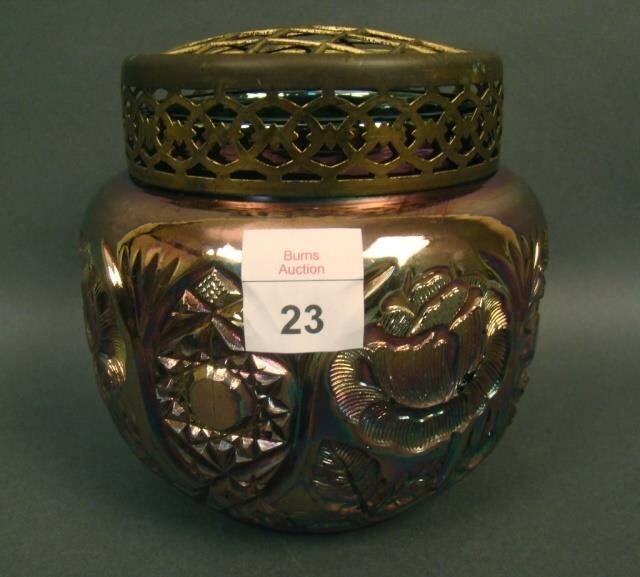 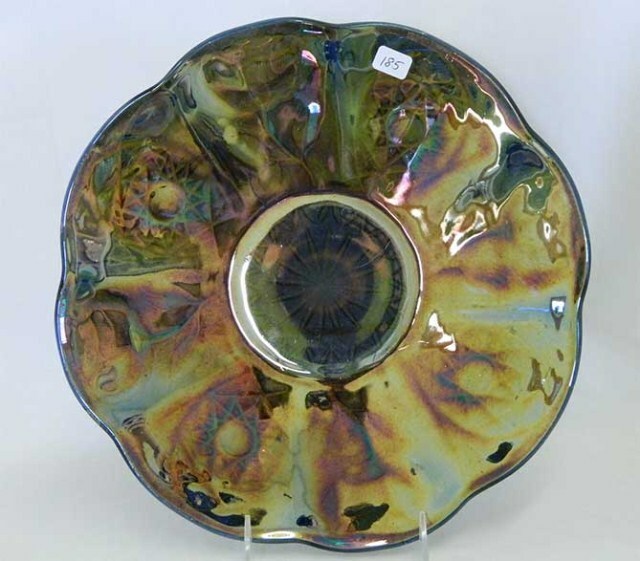 Prices are so variable that they seem to be as much a matter of auction dynamics as quality of the pieces.